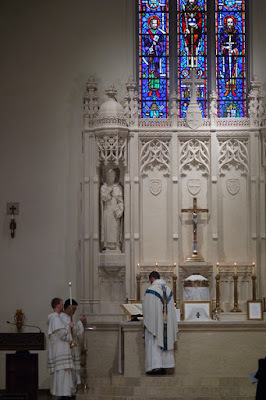 The newly-ordained Fr. Gabriel Thomas Mosher, O.P., a priest of the Western Dominican Province, celebrated three Masses of Thanksgiving around the Bay Area over the past few days. 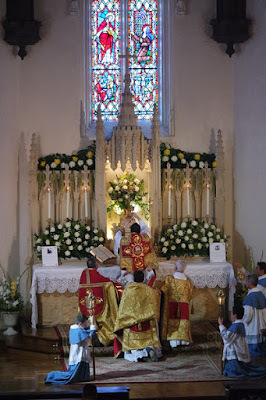 Last Saturday, June 6, 2015, he celebrated as a Dominican Rite Missa Cantata the Votive Mass of the Immaculate Heart of Mary at Saint Albert the Great Priory, Oakland, CA. He was served by Bro. Christopher Brannan, O.P., and Bro. Andrew Dominic Yang, O.P. Music was provided by a chanter, Bro. Gregory Liu, O.P. and the congregation. 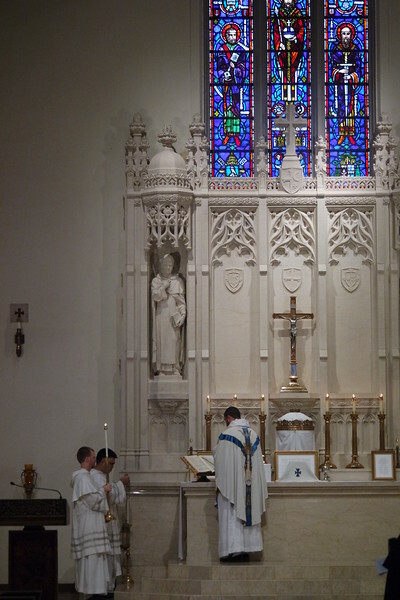 More photos of his Mass may be found here. 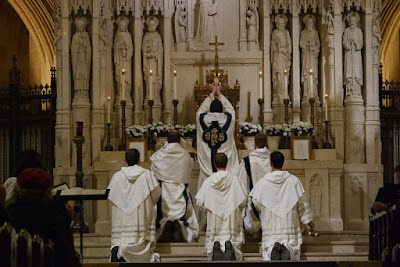 On June 11, 2015, he celebrated as a Dominican Rite Solemn Mass the Votive Mass of the Holy Name of Jesus at St. Dominic Church, San Francisco, CA. He was assisted by Bro. Christopher Brannan, O.P. (deacon), Fr. Peter Hannah, O.P. (subdeacon). Bro. Gregory Liu, O.P. (senior acolyte), Br. Joseph Selinger (junior acolyte), Br. Damien Lach (thurifer), and Br. Matthew Heynen (crucifer). Music was provided by the St. Dominic’s Schola Cantorum. Fr. Michael Hurley, O.P., Pastor of St. Dominic's, was the homilist. More photos of this Mass may be found here. Finally, Fr. 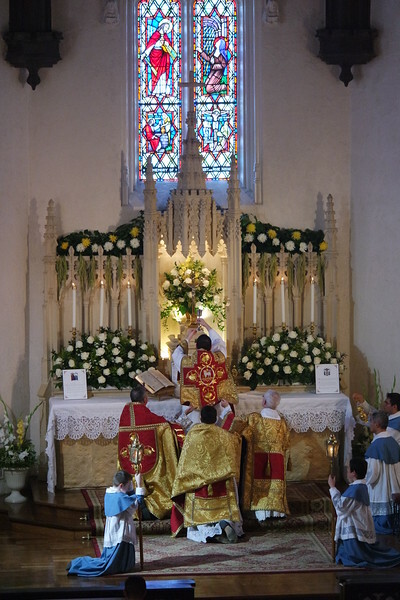 Gabriel celebrated a Extraordinary Form Roman Rite Solemn High Mass at St. Margaret Mary Church, Oakland, CA, on June 14, 2015. The Mass was that of the Sacred Heart of Jesus. The preacher was Fr. Augustine Thompson, O.P., professor of history at the Dominican School of Philosophy and Theology. There was a beautiful reception following the Mass in Fr. Kozina Hall. More photos of this Mass will be found here.